Easter comes late this year with School holidays kicking off from Monday 15th April and reopening Monday 29th April. Ballina Salmon Festival are delighted to announce the return of the Easter Bunny Train!! 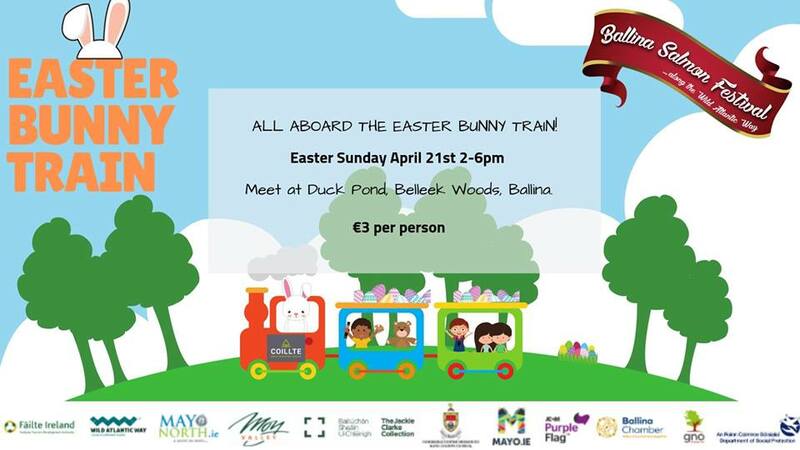 After all the eggs have been cracked open come and Join our Easter Bunny for a fun filled Easter Sunday afternoon with a trip through Ballina’s magical forest park on the festival train. There’ll be lots of fun and surprises on the day!